The Palace Theater at the B.F. Keith Building opened in 1922. Owner Edward Albee II (the grandfather of American playwright Edward Albee) named it for his late business partner B.F. Keith who had died in 1914. Originally named Keith's Palace Theater, the building was designed to be the flagship of the Keith chain of Vaudeville theaters. At the time of completion the Keith Building was the tallest building in downtown Cleveland and represented the high point of development in Playhouse Square. The 3100-seat theater cost $3.5 million to open and was described as one of the most lavish in the land. The sign on top of the building was the largest electrical sign in the world, while the lobby housed a million-dollar art collection and the world's largest woven-in-one-piece carpet. B.F. Keith was an American theater owner who helped evolve variety theater into vaudeville. The Palace Theater emulated this model. 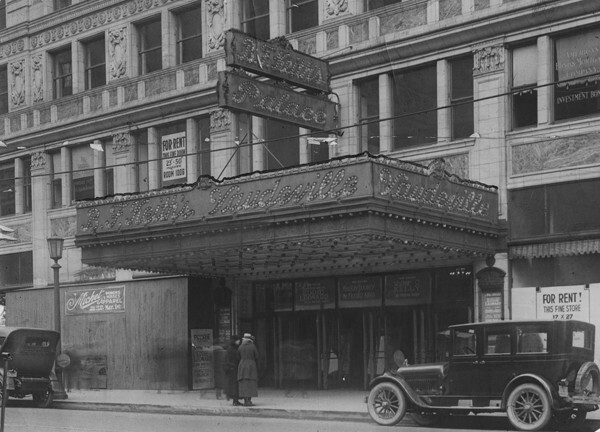 The theater held two vaudeville shows a day during its first four years. During its first year, the Palace Theater sold 1.7 million tickets. However, this trend did not last, as the motion picture era was beginning. By 1926, the twice daily performances were halted in favor of a combination of continuous live entertainment and motion pictures. In 1932, daily live shows were dropped entirely, with films becoming the main attraction. Throughout this time, however, the Palace Theater never forgot its roots. Despite the theater indulging in film, it still held periodic vaudeville performances well into the 1950s. 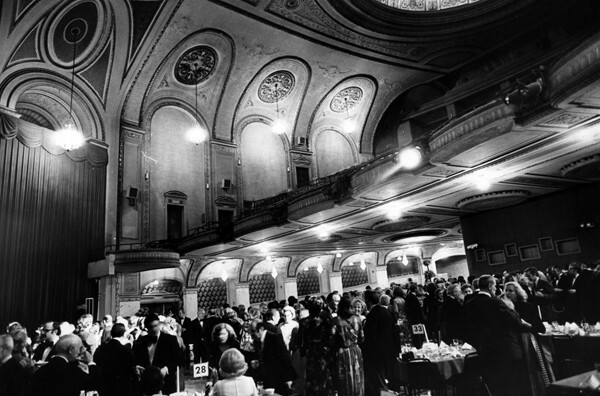 Many famous performers of the age were associated with the Palace Theater. Bob Hope began his career on the Palace stage. It also showcased Bing Crosby, Harry Houdini, Frank Sinatra and the Three Stooges. George Burns and Gracie Allen were married on the Palace Theater stage in 1926. Through a combination of intensifying competition with suburban cinemas and television, the Palace's ticket sales dropped steadily throughout the 1950s and 1960s. 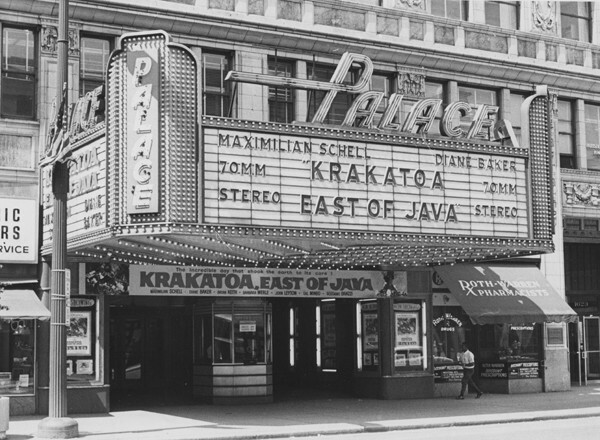 Declining revenues and high real estate taxes increased the theater's financial burden, so when an air conditioning unit broke on July 20, 1969, rather than fix it, the theater closed. By the early 1970s, the Playhouse Square area had experienced considerable regression, and the attempts of civic and business groups to increase retail business and attract new commercial uses for the buildings failed. 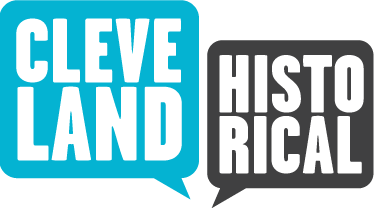 However, the Playhouse Square Foundation soon began a massive theater restoration effort that eventually included the Palace Theater. In April 1982, the Palace dressing rooms were restored in a joint project by a series of local businesses. In total, the renovation project cost $36.4 million and took six years to complete. 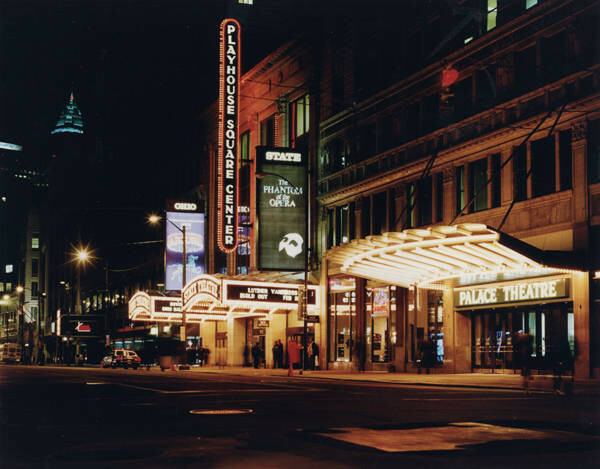 In 1988, the Palace Theater reopened completely restored but with approximately 400 seats less than it originally had. Today, the Palace Theater serves as a venue for every sort of performance from comedy shows to Broadway plays. 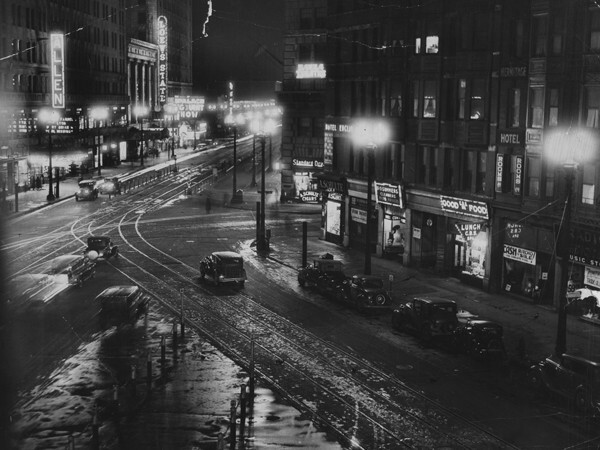 Rainy Night, 1933: This is a view of Playhouse Square from the intersection of Huron Road and Euclid Boulevard, looking east during a wet evening on April 7, 1933. Visible in the photo are Loew's State Theater, the Allen Theater, Keith's Palace Theater, Hotel Euclid, and Hermitage Hotel. John Hemsath talks about vaudeville at the Palace Theater and describes its lavish backstage amenities. “Palace Theater,” Cleveland Historical, accessed April 18, 2019, https://clevelandhistorical.org/items/show/246. Published on Jul 11, 2011. Last updated on May 2, 2018.